Roy Allen Hargrove, age 86, of El Dorado Springs, Missouri, went Home on Monday evening, July 8, 2013, at Cox South Hospital, surrounded by children and grandchildren. Allen was born on October 14, 1926, to Charley T. Hargrove and Bertha O. (Hawkins) Hargrove near Dederick, Missouri. He attended Dederick and Willow Grove schools. He was saved at the age of fourteen at Sulphur Springs Baptist Church and was a member there at his death. 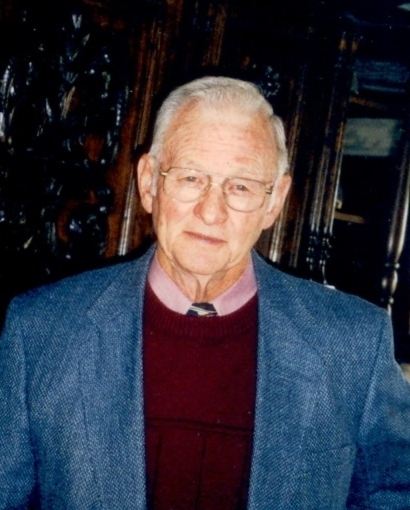 During his lifetime Allen worked at Producer’s Creamery, Camp Clark, Barrington Manufacturing, and was a custodian at Dunbrooke and the Stockton Nursing Home. After retiring, he enjoyed using his Ford tractor to do mowing and brushhogging jobs for people. Allen was preceded in death by parents; infant sister, Evelyn; five sisters: Lola Heacock, Lucille Nelander, Ethel Wynes, Anna Mae Cox, and Harriet Neal; infant brother, Terrell; and brother, Marvin (Bud) Hargrove. Survivors include his four children: Cheryl Eslinger and husband, Lewis, of El Dorado Springs, Missouri; Kathy Buller, of Fort Scott, Kansas; Sandra Chambers, of El Dorado Springs, Missouri; and Steve Hargrove, of Nevada, Missouri; twelve grandchildren: Shawna and Matt Cooper, Susan and Mark Dingman, Mike Buller, Sherre and Buddy King, Chris and Misty Buller, Doug Chambers, Randall Chambers, Stefanie Eslinger, Shawn and Mary Hargrove, Patrick Eslinger, Jeff and Cary Chambers, and Shandy Hargrove; nineteen great-grandchildren: Jonathon, Jordan, Savannah, and Luke Karleskint; Logan, Lucas, Lakin, and Shayne Cooper; Jesse Dingman; Josh and Rikki Buller; John, Sarah, and James King; Elizabeth Hall; Blaine and Brett Chambers; and Isaac and Brady Hargrove; two brothers: Charles Hargrove and wife, Pat, of Nevada, Missouri; and Richard Hargrove and wife, Claudia, of Nevada, Missouri; and one sister: Ruby Sherman, of Ottawa, Kansas.